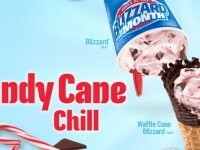 The Dairy Queen Blizzard of the Month for April is the S’mores Blizzard, and this year, we get an extra Blizzard – The Oregon S’mores Blizzard. 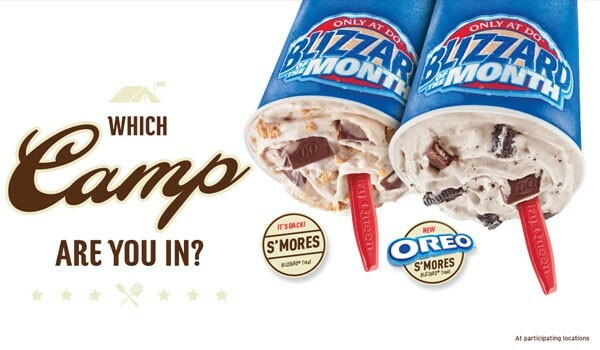 The regular S’mores Blizzard includes pieces of graham crackers mixed with marshmallow filled pieces of chocolate and served with their vanilla soft serve ice cream. 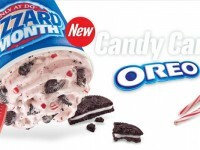 The new Oreo S’mores Blizzard has broken up pieces of Oreo cookies blended together with marshmallow filled chocolate and graham cracker. 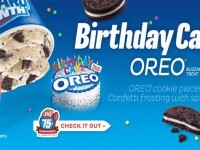 Pick one or both during the month of April.